Welcome to Holiday Inn Chicago Aurora hotel, - a smoke free hotel and the perfect choice for the business and leisure traveler alone. Conveniently located from I-88 in the Chicago hi-tech corridor, 5 miles from Hollywood Casino and Paramount Theatre, 43 miles from downtown Chicago, and 38 miles from Chicago O'Hare Airport (ORD). 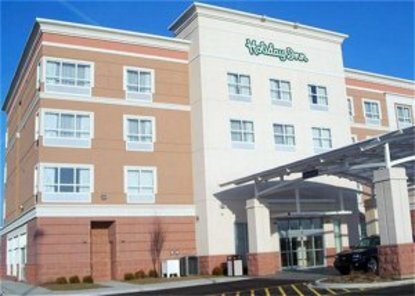 As our guest at the Holiday Inn Chicago Aurora you'll enjoy high-speed Internet access, sunlit indoor pool, modern equipped fitness center, and state-of-the-art meeting space.At the Holiday Inn Chicago Aurora each of our 82 guest rooms are spacious with a beautiful modern city design. Enjoy breakfast and dinner in Kem's Cafe or relax in our lounge. This hotel is committed to providing accessible facilities under the American Disabilities Act. If your accessibility needs are not met, please contact the Hotel Manager on Duty. Should you require additional information regarding accessible facilities for guests with disabilities, please call 1-800-Holiday (U.S. and Canada) or contact the hotel directly. For the hearing impaired, TDD service is available at 1-800-238-5544 within the U.S. and Canada.